If there is something spooky and negative about you, your business, your products and services, on the search engine; what will you do, how will you handle this? Allengers have a full service digital marketing team, which specialises in ORM (Online Reputation Management) services. We offer a complete range of maintenance of online public relations and brand management. Some believe that ORM is just handling their reputation in news and media, but actually this is much more than that as it includes various aspects of both offline and online media. Here offline media includes newspapers, television, radio stations etc. Online media includes combination of blogs, social media networks, other online communities and we are expert in managing the same. We have professional and a proactive approach where in, we monitor the keywords and quotes to analyze both positive and negative comments given for you company. Also, the reason why you should join hands with us is, we identify probable risks to your reputation before they become an issue. Along with various ORM strategies, we create profiles in major communities related to your industry, to start a conversation which improves your reputation by preventing misunderstanding about the products and services that you are offering to your customers. 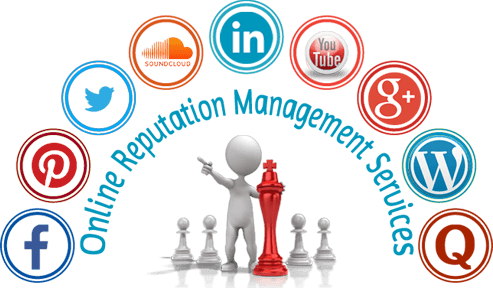 Basically, our ORM team protect and manages your online reputation and works as your online reputation repair manager.